Wedding reception backdrops are a great solution to cover plain walls and uninteresting wedding stages. You might have been fortunate enough to book a nice intimate reception hall but there's a lot to be said and done to set up the wedding stage. Most reception hall rentals do not include the wedding reception decorations and backdrops for the wedding stage. 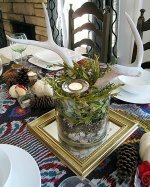 Table centerpieces and sometimes flowers are included in the catering package but any extras you will often have to pay for yourself. If you need to have a backdrop for the wedding stage, you can always be resourceful and ask friends to do the job with you leading them. However, it might be a bit stressful for the bride to be hammering and measuring the night before the wedding stressing out to finish the wedding reception backdrop. However, whether you and your friends decide to do the backdrops or you hire someone to do them, here are a few basics that you should know. Every reception hall needs some sort of decoration to make it festive enough for a wedding. Lucky are you if the reception hall's décor matches your wedding color motif or theme. If not, you can always hide and cover the wallpaper or wall paint that clashes with the wedding's motif. Typically, backdrops are used at the back of a wedding stage, behind the cake table, at the back of the head table at the reception or near the lounge area or bar at the reception. A backdrop needs to conform to the colors and textures as the wedding theme and reception decorations and centerpieces. A wedding reception backdrop must "tie" all the reception decorations for a cohesive look. You cannot expect to get away with a Victorian-inspired backdrop complementing a sea-inspired wedding motif. Ask the manager of the reception venue if they have ready-options for backdrops. 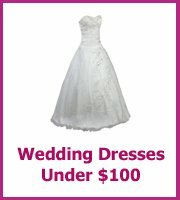 In case there are options, look over them and try to choose which one will best suit your wedding theme. If the venue ahs no backdrop options, you can always ask your florist or a wedding supplier to present their backdrop options. 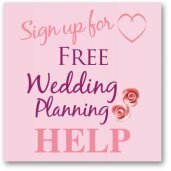 A good tip to save you some money is to find out if there is another wedding the day before yours and see if they are decorating the venue. You could have a chat with the bride and groom and see if you could share the cost of the decorations - and maybe even help one another out on decorating. It would be such a waste if similiar decorations were to be used at both and you both go through the stress of decorating and the extra cost. The use of sheer fabric and fairy lights is an easy and inexpensive way for a backdrop. For cheap material, you can always count on the very versatile tulle. Available in many colors, you can choose which color you prefer for the backdrop. wedding reception backdrops Try to dominate the backdrop with white tulle and just use the colored one as accent. Hang and swag the tulle from the ceiling down. You can choose to add another texture to the fabric by using soft-flowing chiffon. Layer the tulle and chiffon for a more dramatic effect. Tie the fabric with golden curtain rope then hand fairy lights at the back of the fabric for a nice glow. This will look especially nice at night. Balloons are easy to do for a backdrop and quite inexpensive too. You can rent an arch from a wedding supplier or a balloon sculpting company. Hang tulle fabric from the arch then cover the arch with balloons in your wedding color motif. Add a pedestal at each end of the arch and put a large flower arrangement at each pedestal. Balloons were considered very informal and were relegated to backyard and outdoor wedding ceremonies and receptions. However, there are so many kinds of balloons now that are apt for semi-formal wedding receptions. Lattice and wrought iron panels for wedding reception backdrops are now very popular. 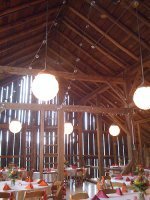 These panels can be set up for both indoor and outdoor wedding reception. You can set up the lattice behind the head table or the wedding stage or as backdrop for the cake. Decorate the lattice or wrought iron with flowers and foliage. You can even add some fabric swags but make it sparse so as not to cover the panels. Add some fairy lights if the wedding is at sunset. Other ideas to incorporate in a wedding reception backdrops are long panels of fabric to cover the wall. The fabric could be a combination of satin and tulle, accented by elegant curtain rope. Flower arrangement on pedestals are a nice touch so is an indoor waterfall set. There are lots of options for an indoor waterfall as they are available in different shapes and sizes. Just be creative but remember to stick to the wedding's motif. You would not want a hodgepodge of uncoordinated decor for your wedding reception backdrop.